The renovation of 1539 Ninth Street, NW, is now complete, and the first of its two condominium units has hit the market. Unit 2 is the upper unit, which is two levels. According to its listing, this two bedroom, two bath unit has 1,275 square feet of living space plus a fantastic roof deck off the master suite. Check out the listing, with interior photos, here. You may recall that there was a fire at 1539 Ninth Street back in 2007 that left it a vacant, boarded shell. I posted a little of the home's history when the structure was for sale in February of last year (see here). It is so great to see new life breathed into this house! On the east side of the 1400 block of Ninth Street, NW -- in the former footprint of the Giant -- once stood the Raphael Theatre. It was apparently a 444 seat movie theater, it was located at 1409 Ninth Street, NW from about 1935 to 1955. Later, Church of the Deliverance occupied the building. Check out an image of the former theater here. 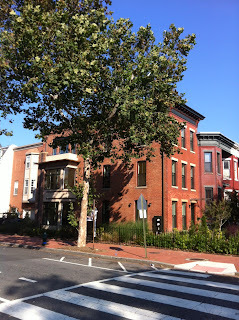 This morning, I spotted a for sale sign in front of the newly renovated 1600 Eighth Street, NW. A brief internet sleuthing session led me to the listing for Unit 1 of the building, viewable here (with interior photos). According to the listing, the unit is a two story, three bedroom, two and a half bath residence with an 800 foot private roof deck. The finishes look very nice, and the location is unbeatable (a block from the metro, a block from the upcoming CityMarket at O, on beautiful Eighth Street). The asking price is $895,000. 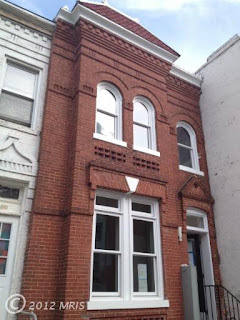 On August 22, 2012, DCRA issued a permit for 1124 Ninth Street, NW, site of the future Tom Power eatery (announced last year). The design of the space is by the firm Edit, which is behind such stylish eateries as Rogue 24, Dickson Wine Bar, and The Brixton. Chase and LivingSocial are going to award twelve small businesses individual grants of $250,000 to increase awareness of the important role small businesses play in local communities and to help small businesses grow. An integral step to a business being considered for the grant is for them to receive at least 250 votes online by midnight tomorrow night (Saturday, June 30, 2012). After clearing this hurdle, businesses will be selected for the grants by a panel. 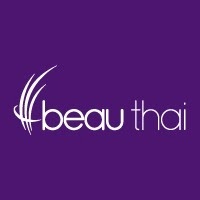 I know of at least two small Shaw-area businesses in the running for consideration, and encourage you all to vote for both (you can vote for more than one business): Beau Thai (a business that I'm an owner of) and Old City Green. Please help these two businesses make the cut by taking just a minute of your time. VOTING IS EASY! Just click on this link (https://www.missionsmallbusiness.com/), then click "log in and support," then type the business name you want to vote for ("Beau Thai" and "Old City Green"), and then cast your vote! 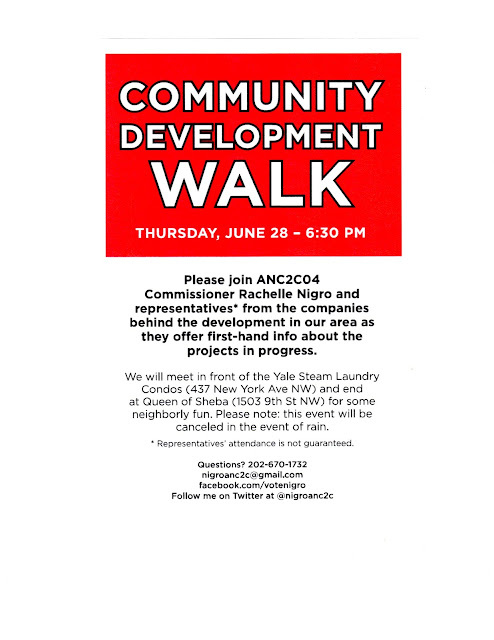 Development Walk - June 28, 6:30 p.m. Interested in learning more about area developments from the developers themselves?! ANC2c Commissioner Rachelle Nigro will host a Community Development Walk on Thursday, June 28, at 6:30 p.m. Below is the flyer, and details may be found here. 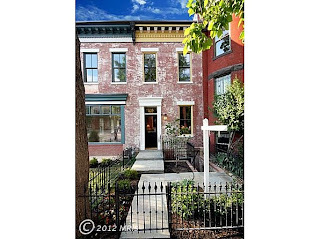 The dramatic transformation of the properties at Ninth and Q Streets and Rhode Island Avenue is pretty miraculous. 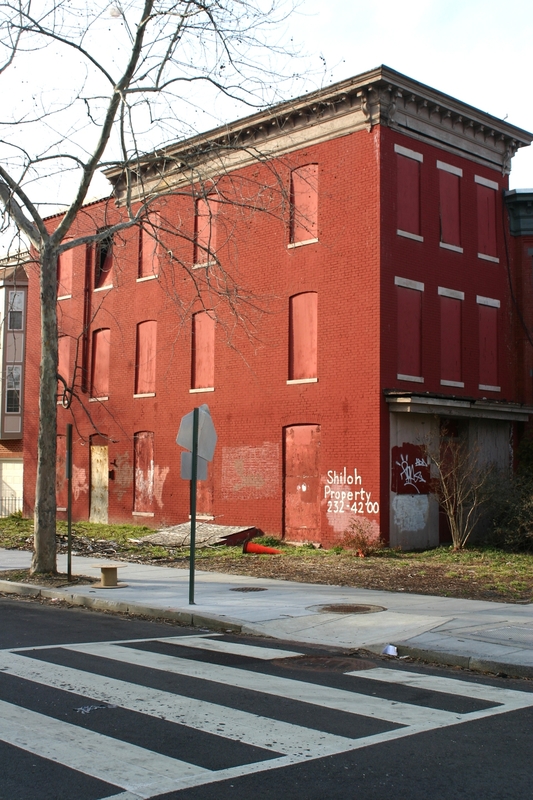 Previously a long-time, often cited blight of the neighborhood, they're now true beauties poised for new lives. The first residential unit, 819 Q Street, NW, hit the market last weekend. Here is the listing, with photos and a description of the property.